The MCTS Maintenance Department is amazing at keeping our fleet running, but it turns out they also know a thing a two about taking care of ducks. This little duckling wandered onto our property near the Fond du Lac Garage and was quickly surrounded by some not so nice sea gulls. 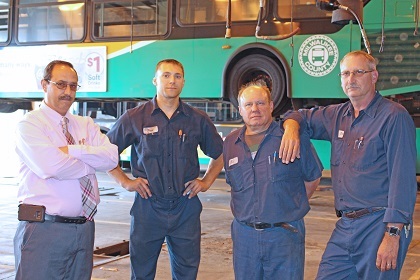 MCTS maintenance staff quickly shooed the mean birds away and took the little duckling in. The fluffy duck was eventually brought to the Wisconsin Humane Society where it is doing great.